Editor’s Note: Lighting is a unique, personal form of decoration. 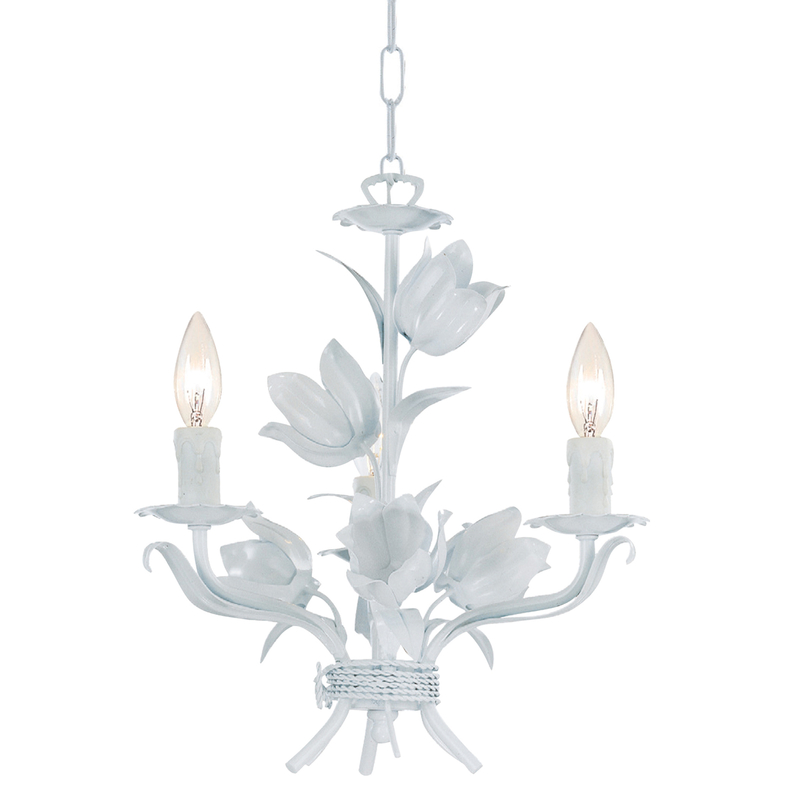 Another lighting designer wrote about Shabby Chic Chandeliers. 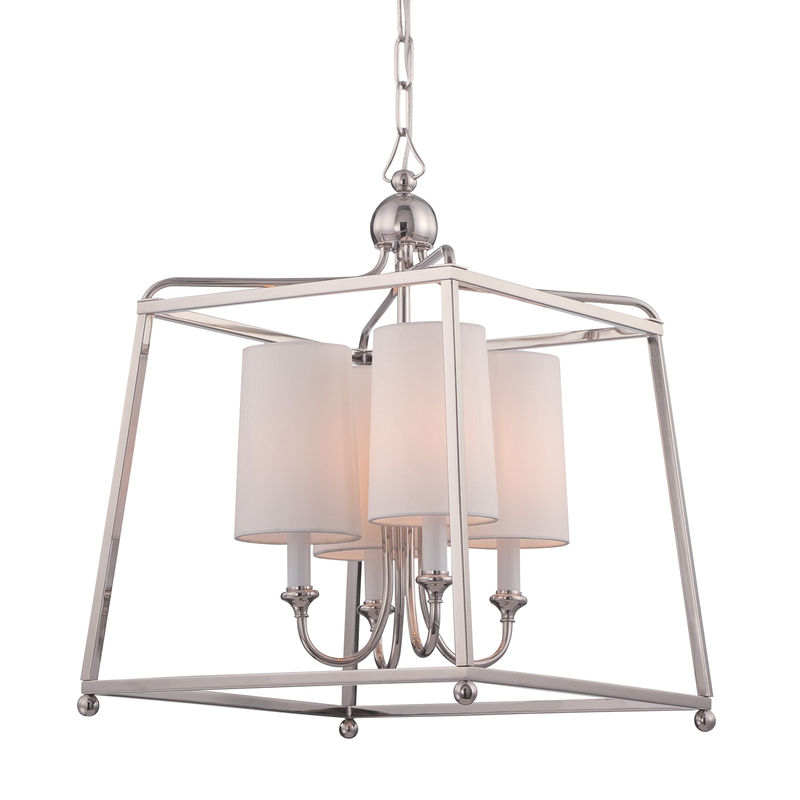 Every designer seems to have a different slant on every style and fixture. So read as much as you can. You'll find your own unique style. 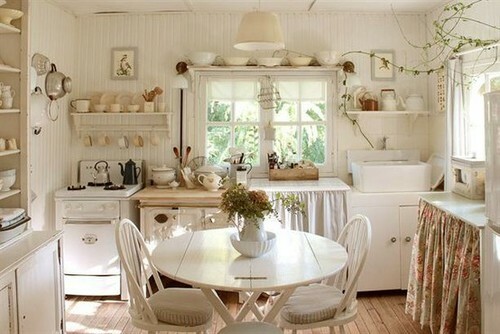 Shabby Chic is a form of interior design that proudly shows its signs of age, wear and tear like a badge of honor! Nothing new, shiny or flawless is used in this style of decorating. Heavily painted thought the years with wood showing through is the desired look for these pieces. 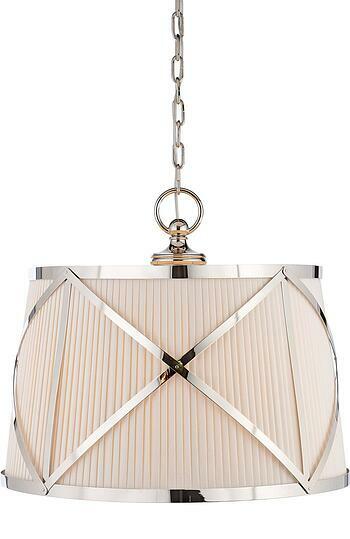 With lighting you can use pendants in weathered whites, pinks, light green and blues. Use lighting with roses! There will be no confusion which vibe you’re going for with roses! The style emerged in Great Britain in the early 1900’s with large country houses where the fabrics are faded and, paintwork is old and worn which became unassuming good taste. Shabby Chic became popular in the 1980’s when recycling old furniture and fabrics became very chic! This was a very economical way for modern Bohemians to fashionably decorate. 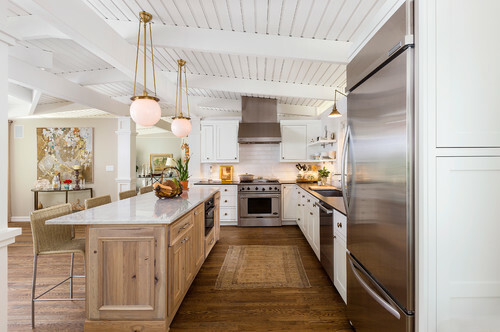 Here are some of our favorite Shabby Chic style pendants for the kitchen. 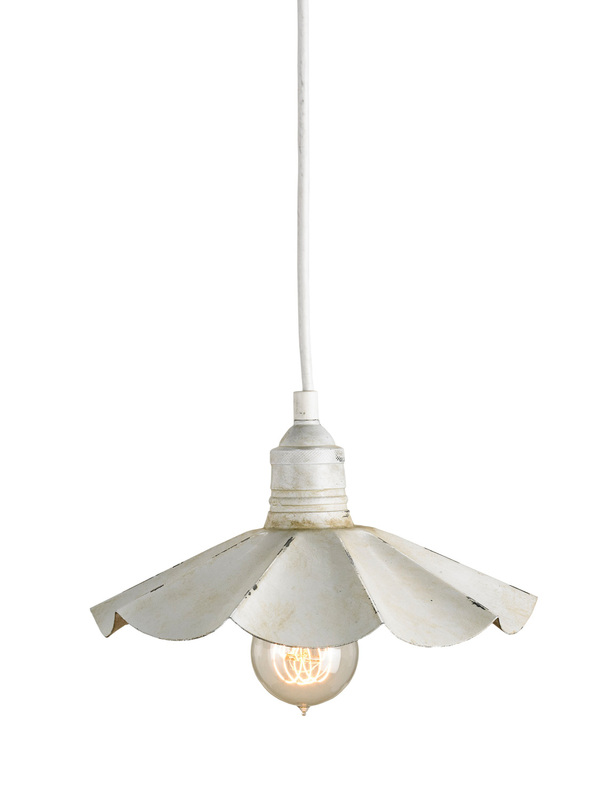 This series is the epitome of Shabby Chic lighting. 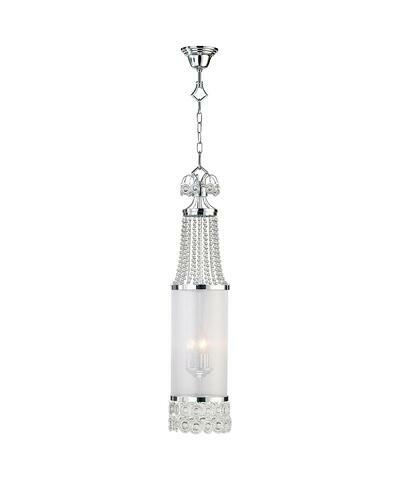 Delicate details, roses and crystals are all hallmarks of Shabby Chic lighting. 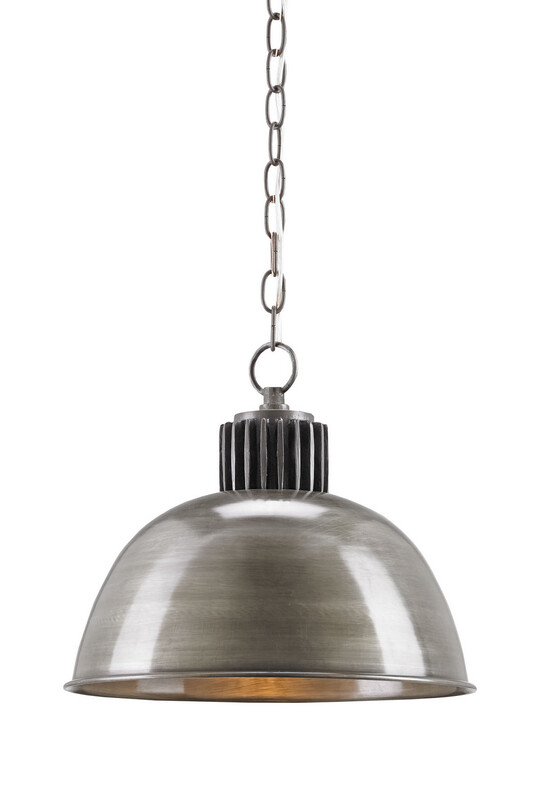 Feiss adds a little color and shabby spice to a kitchen with this pendant. 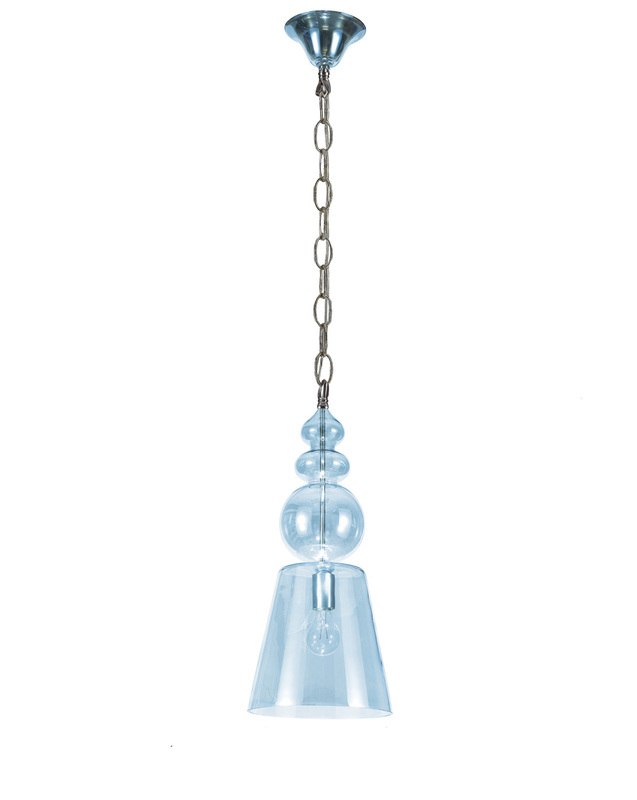 This Ice Blue Harper pendant by Crystorama has the perfect touch of color and rustic feel. 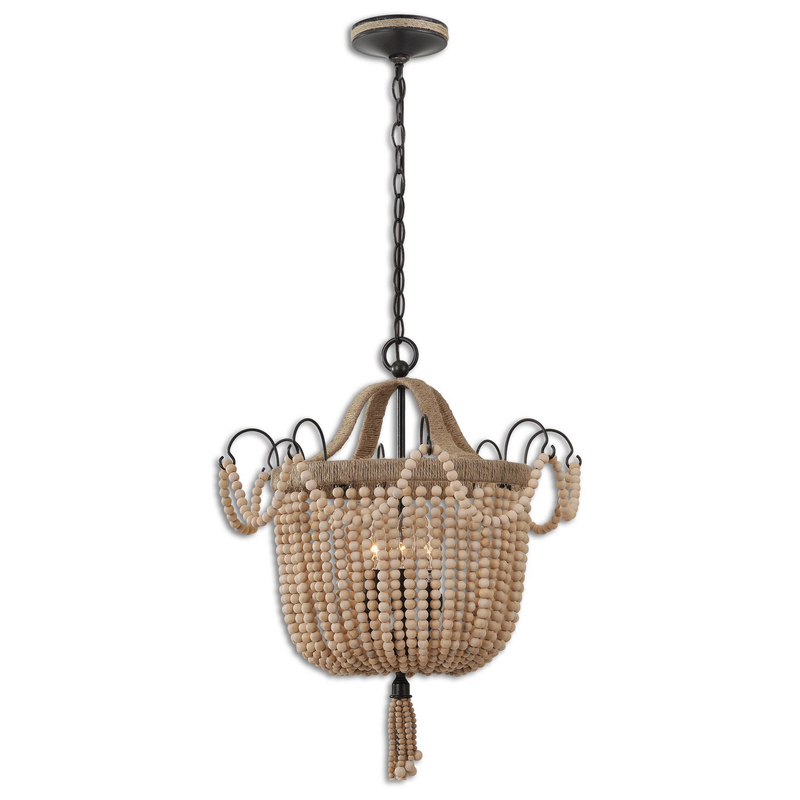 This is a classic Shabby Chic addition to any kitchen that needs warmth and soft classic charm. Fabric is another material used in Shabby Chic décor inspired by old French linens. This is a modern table and chairs with a more sophisticated look. There's nothing random in Shabby Chic. It's a deliberate mash up of several different styles. You can mix in different elements to enhance your environment or style! Want to learn more about lighting your home? Get The Yale Kitchen Lighting Buying Guide on how to light your kitchen properly. You will learn light layering and the basic light sources. Well over 155,000 people have read a Yale Guide.